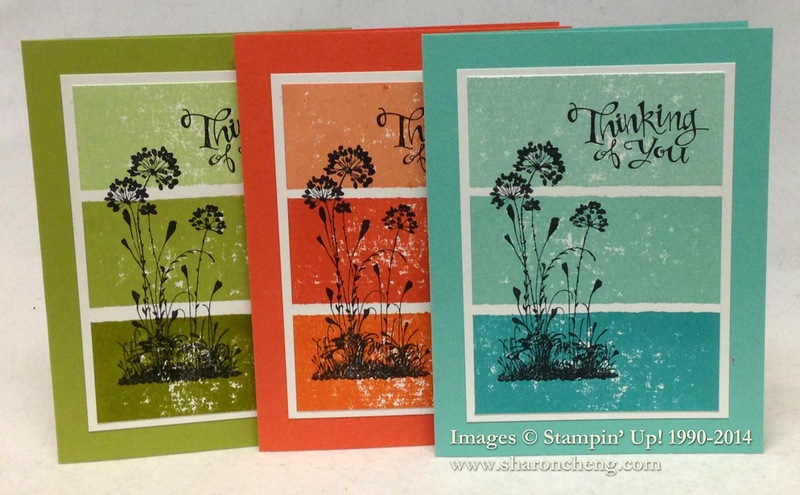 This Ombre Silhouettes card video tutorial shows two different techniques: Ombre coloring and the masking tape technique. Ombre refers to moving from light to dark colors. I have seen many beautiful cards using this technique and wanted to make a card using the color variation. In making the background, I decided to use the masking tape technique to get a mottled background. After trying several times to get a well-inked background, I realized that the masking tape technique and I were not getting along! 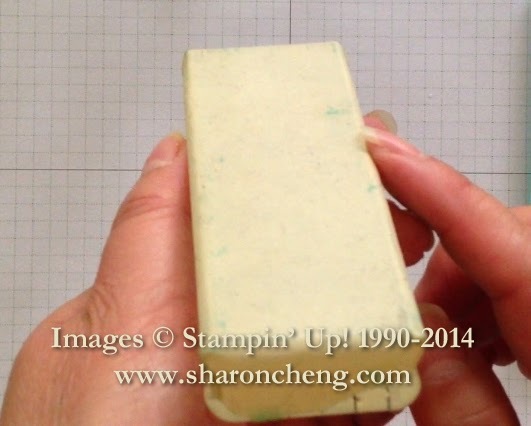 Getting even pressure with the masking tape across the Stampin' Pad was not happening. That's when I came up with the idea of attaching the masking tape to a clear block. Voila! I was back in business. It was quicker and easier to use the masking tape technique now to make my backgrounds. When I need to use the block again for traditional rubber stamping, I'll clean off any adhesive residue with my StazOn cleaner. Works like a charm! Enjoy this technique. I've shown it in three different colorways. Here are the colors I used. The card base is the middle color.